Autumn is One Month Away! While autumn is maybe the last word some of you want to hear, there are a lot of great things to look forward to in the next few months. For many, fall means the return of good hiking weather, hunting season, and football. At Paracord Planet we have our eye on all those activities. Another thing we have our eye on is the fall colors that keep rolling in—and I don't mean the colors of the leaves, either. I'm talking about new paracord colors! 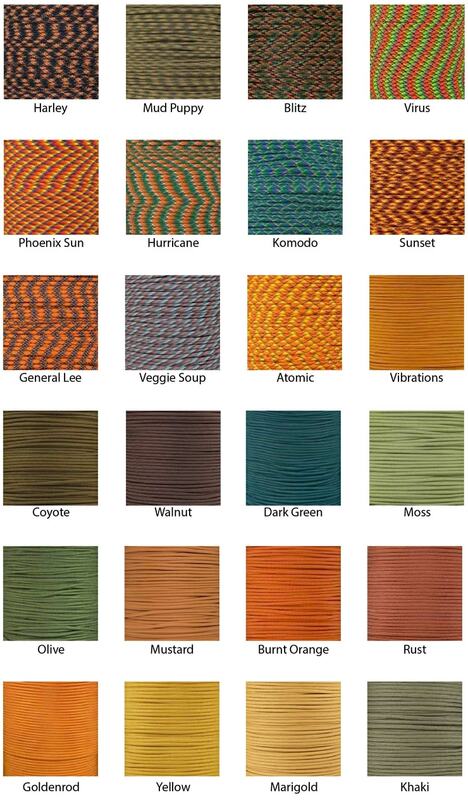 We are constantly expanding our paracord color selection. Take a look at some of our recent color additions. There's something for every season! Not only do we have new colors of paracord, we have some new rope types! What survival tool do you bring when you are far, far away from civilization, out in the middle of the wilderness, with no one to rely on but yourself? Our new Wilderness Cord is made for such situations. This rope packs a punch! In addition to it's 7 nylon inner strands, it has a waterproof firestarter (waxed jute), a fishing line (monofilament), a low-stretch cord (Dyna X) and a heat-resistant cord (Nano Aramid). Regular Shock (bungee) cord not tough enough for you? Our new Diamond Weave Shock Cord is much more durable than store-bought bungee straps. Available in 6 sizes from 1/8" to 3/4". Here are some of our favorite colors for autumn. You can find any of them with the search bar at the top of this page. What do you think of the new colors? Are you excited about fall? What tutorials would you like to see us make for the 2018 hunting and football seasons? Let us know in the comments. 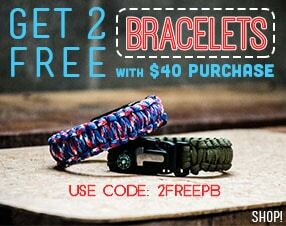 Remember, it's Free Hank Friday, and commenting enters you to win free paracord. Last week, Dillon won 100 ft. of 1/8" shock cord. 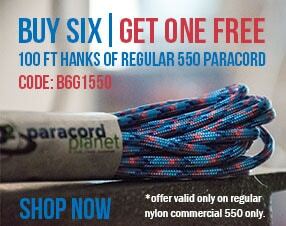 This week, we are giving away more 550 paracord, which means you can choose one of our new colors if you win!